This is another one of those things that doesn't look that tasty or healthy. But it smells amazing, and it settles well before a derby practice or other hard workout. 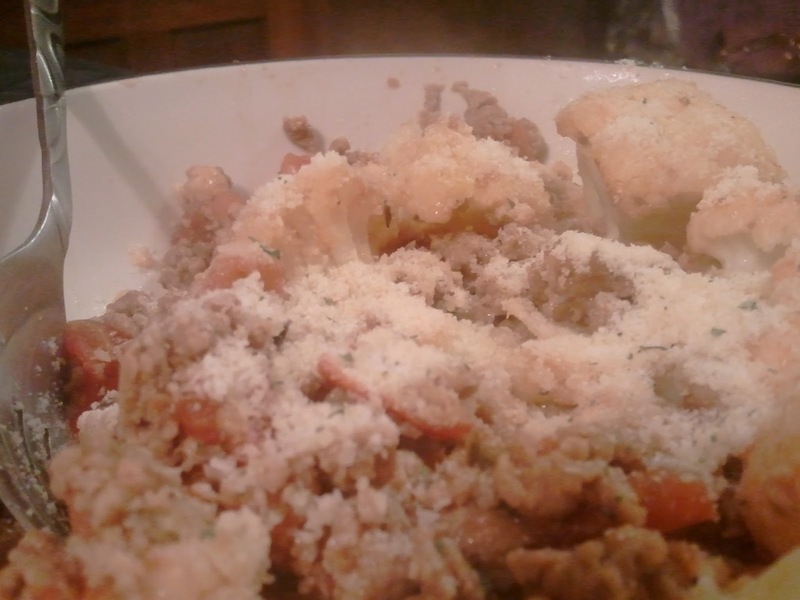 You could leave out the Parmesan cheese to make it healthier, but ... meh. 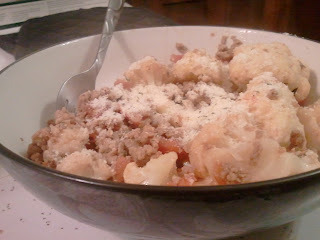 You could also use real hamburger instead of Quorn "meat" crumbles, but ... meh. 1. Combine all ingredients in a large pan. 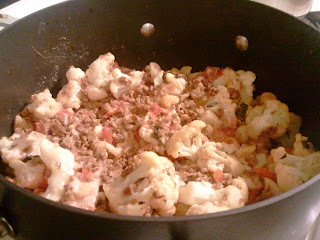 Cook on medium-high, stirring occasionally, until cauliflower softens. 2. Add Parmesan. Bake uncovered at 400 degrees about 10-15 minutes. 3. Serve with additional Parmesan and garlic salt if desired.